A couple of weeks ago Thomas MacEntee (Geneabloggers, High-Definition Genealogy, Hack Genealogy, etc) blogged Update: The Genealogy Fairy. Back in late March 2015, I announced a new concept as part of my genealogy business: The Genealogy Fairy™. For 2015, I have seen a huge increase in business revenue related to affiliate marketing (where I receive a percentage of sales made via Amazon, MyHeritage and other vendors). I wanted a way to say “thank you” to those who continue to support my business and believe in what I do to improve the way we search for our family history. What Is The Genealogy Fairy™? 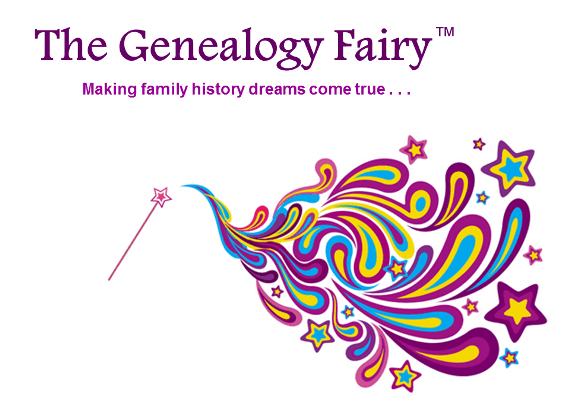 The Genealogy Fairy™ is a venture created by Thomas MacEntee of High-Definition Genealogy. The goal is to give back to the genealogy community through a series of grants to organizations and individuals undertaking worthwhile genealogy-related projects. How Is The Genealogy Fairy™ Program Funded? Five percent (5%) of all revenue at Genealogy bargains (http://genealogy.bargains) is set aside each month to fund The Genealogy Fairy™ program. Your purchases of genealogy products and services using the links at Genealogy Bargains help keep the program going. Effective 1 August, The Genealogy Fairy™ – Now Accepting Grant Applications. Many important details are provided in the above links. The actual application can be found here. This is just one more important way that Thomas tries to benefit our genealogy community! I can’t wait to see what kinds of projects are granted! Good luck to all individuals and organizations that apply.